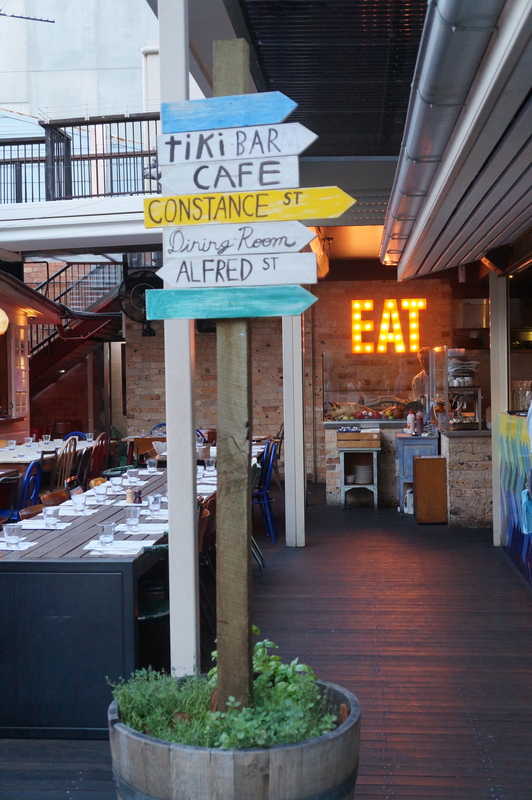 I recently visited Alfred and Constance for a friend’s birthday celebration. It was her choice of venue (after reading a lot of reviews online) and based on our experience, it was a brilliant choice. 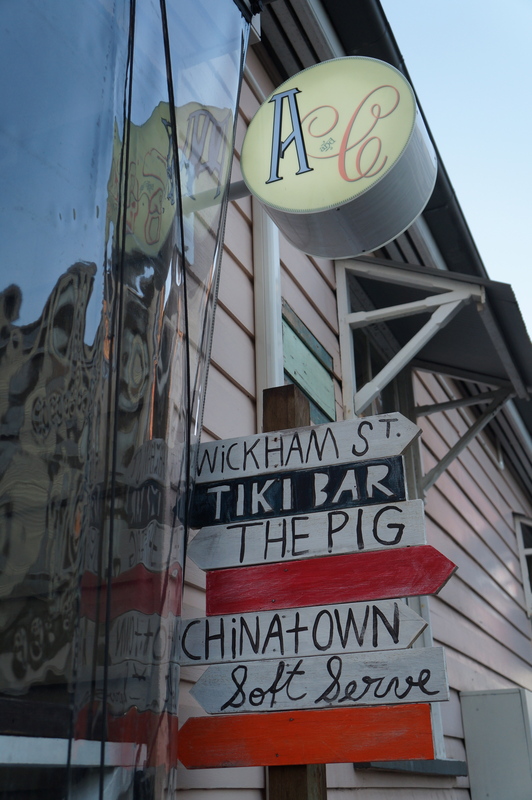 Located at the corner of Alfred and Constance Street, it is not hard to guess where they got their name. Parking was a bonus because they validate the tickets for Valley Metro Car Park, which means free secure parking! 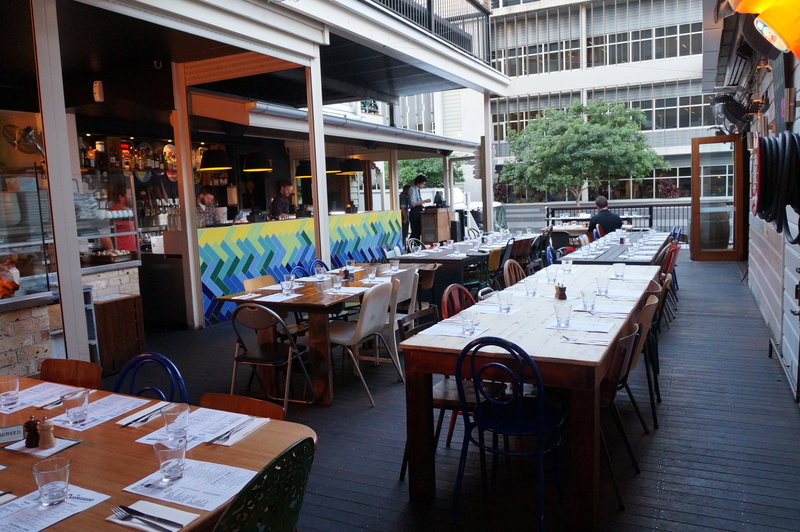 Alfred and Constance has brought pub dining to another level. Firstly, their layout was amazingly creative. It has 3 bars each with a different theme and atmosphere (and drinks of course), which instantly gave the feeling of being in a different place when you walk into another room. We did not make a reservation – who thought it would be so busy / fully booked on a Wednesday night at 6pm? Thankfully, there were a couple of small tables available. 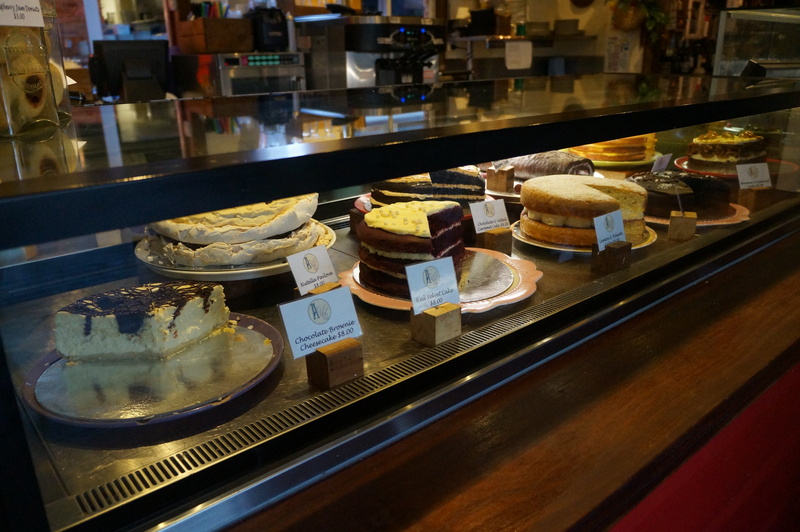 We found a table just outside the Dessert Café – perfect spot! The waiter was very friendly and helpful. He took his time to explain the menu and told us the pork was their specialty. 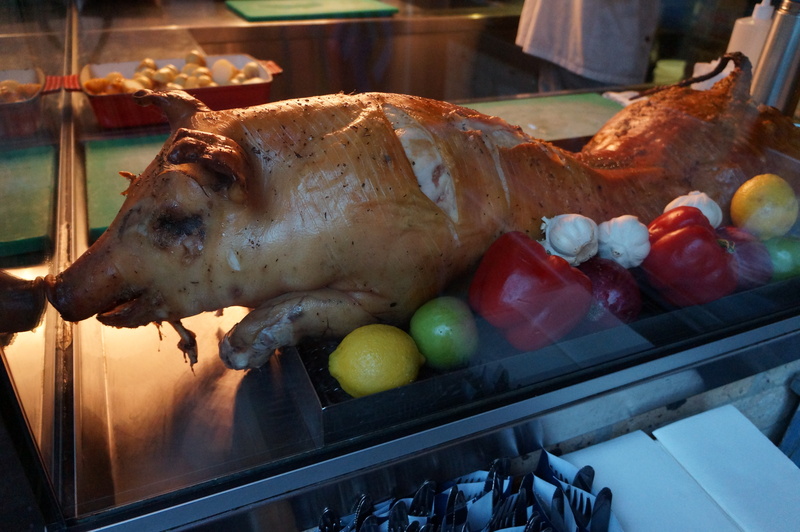 There was a smoked hog on display in the center dining area, the Vanguard Beer Garden Restaurant, which is carved to order. We were very tempted but ended up ordering Grilled Lamb Rack ($29.90) and Slow Roasted Pork Belly ($29.90) for mains. 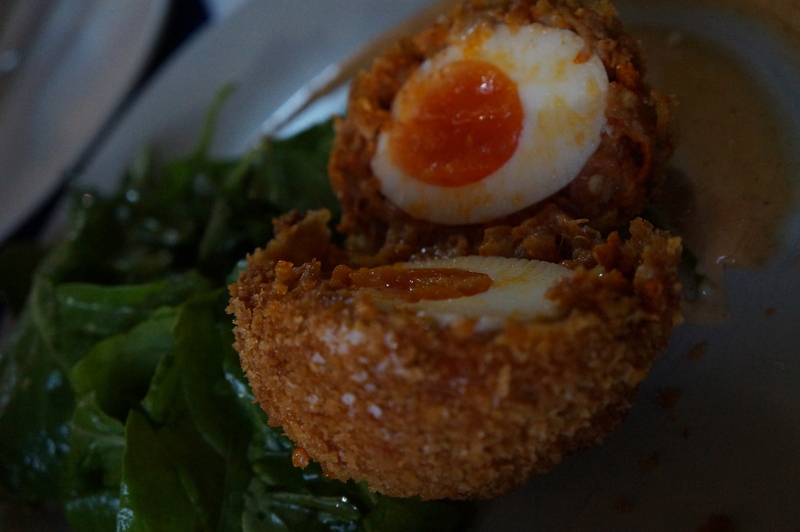 For starter, we shared the Chorizo Scotched Egg ($11.90). It was surprisingly good for an egg. The crumbs were crunchy, salty and slightly chewy from the chorizo. 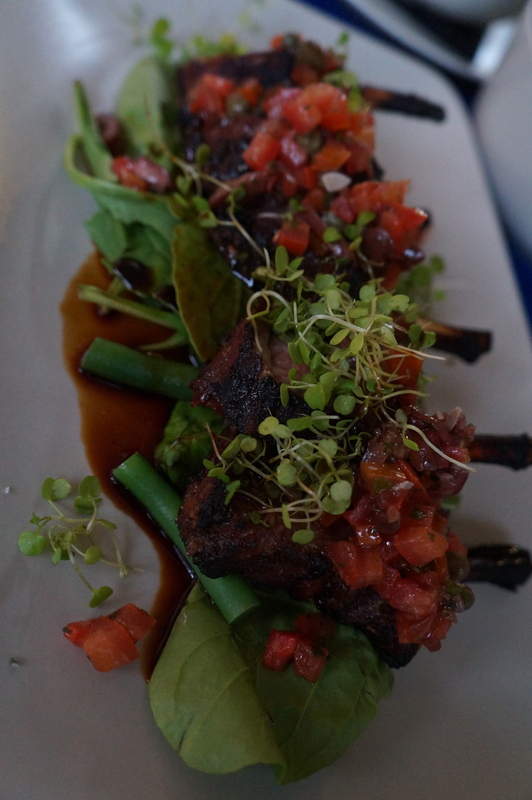 The grilled lamb was another favourite – smoky, tender and delicious. 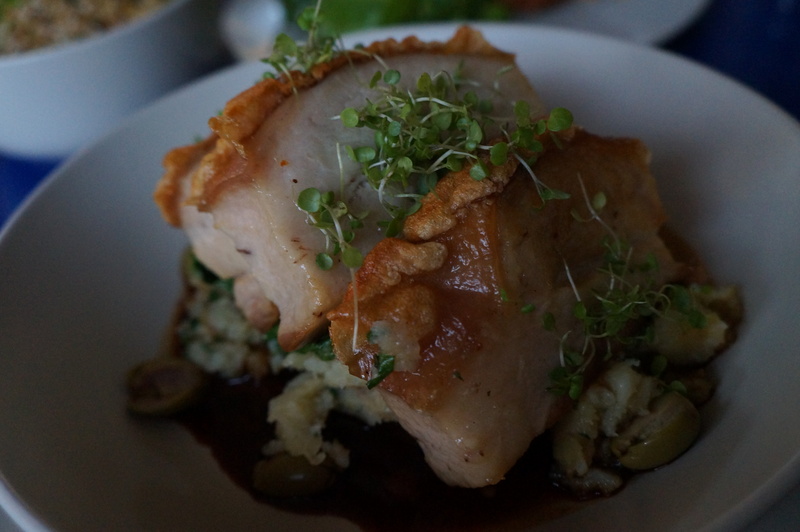 As for the pork belly, the crackling was amazing. It was very thin and crispy. The meat was tender and juicy. 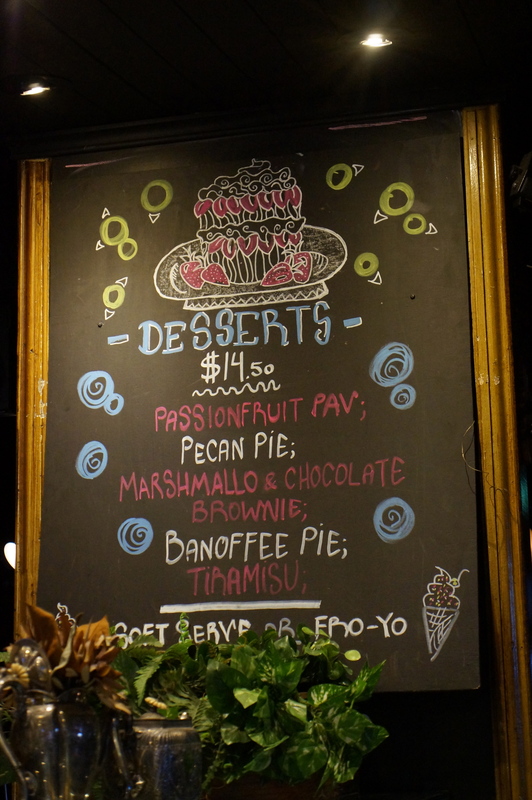 If not for the amount of fat, it would have been the dish of the day. 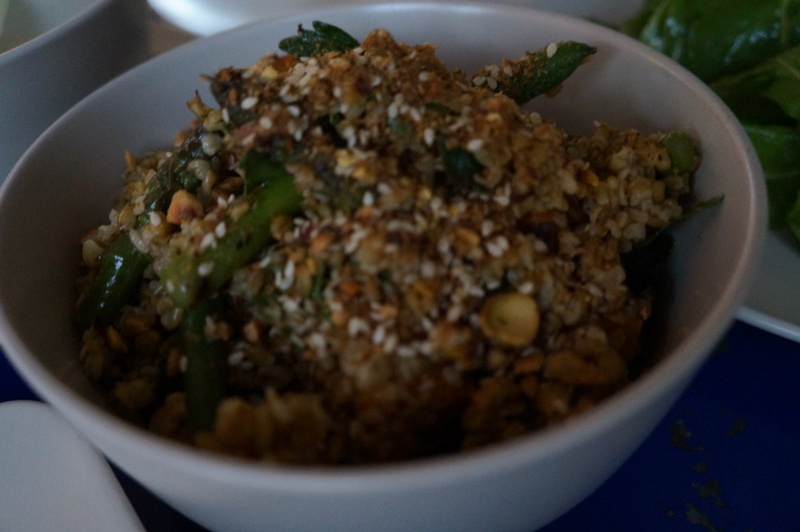 We also ordered a small Freeka Salad ($9) made with pumpkin, beans and dukkha to balance off the protein. It lacked flavour and was the least favourite dish of the evening – perhaps a little more dressing would’ve saved it. No birthday celebration would be complete without a birthday cake. 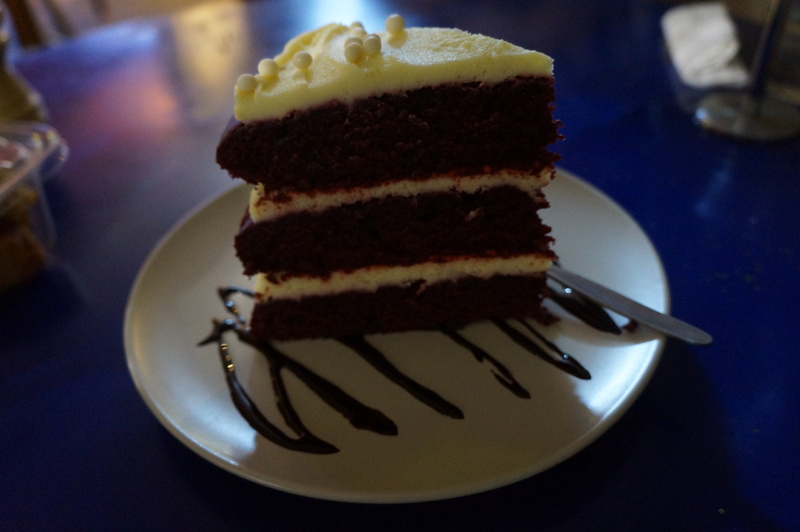 To end the meal, we ordered a slice of Red Velvet ($8) from the Dessert Café. It was the best Red Velvet I have tested! The cake was very moist and the cream cheese icing was smooth and not overly sweet. What a perfect way to end the meal!